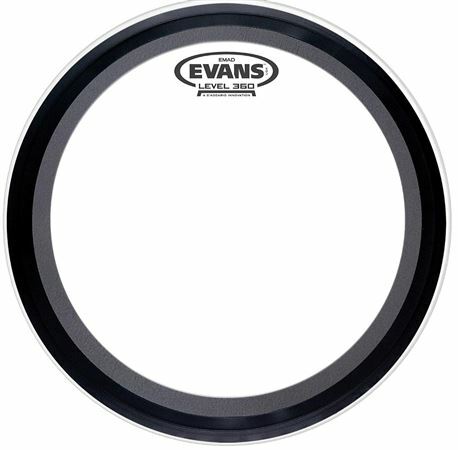 Order your Evans EMAD 2 Clear Bass Drum Head from AMS and enjoy Fast & Free Shipping. Get the Best Deal with our Lowest Price Guarantee & Great Customer Service! The EMAD2 is a 2-ply version of the popular original. 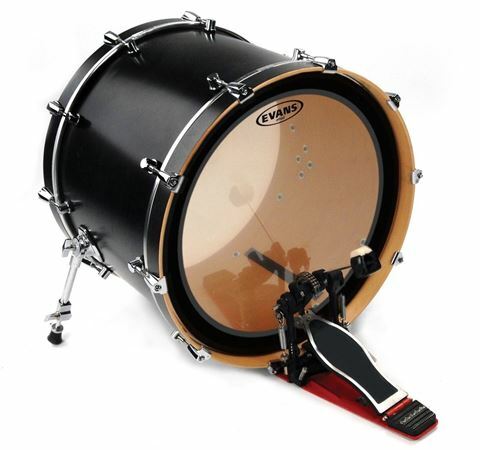 The combination of a 6.5mil and 10mil film offer extreme durability and enhanced attack, while the 2 interchangeable damping rings maximize low-end and allow the player to adjust sustain and feel. I basically got a brand new drum for the price of a new head. Excellent drum head. I was able to turn a horrible sounding drum into something I never dreamed of. It does a great job of dampening overtones without sacrificing attack and tone.